COST: $350 Includes all materials, snacks, lunch and one (1) t-shirt. Middle School students (6th-8th) interested in exploring the world of technology and engineering will love our STEAM Fab Lab Summer Program! 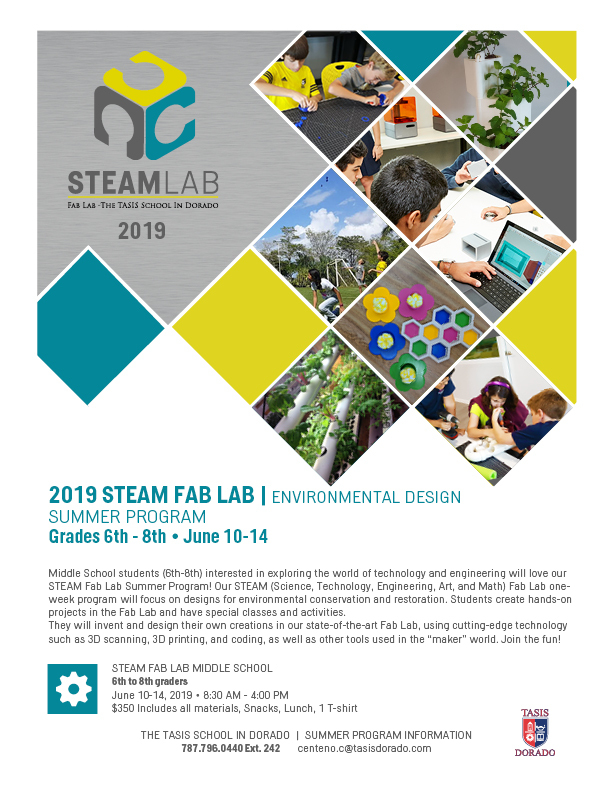 Our STEAM (Science, Technology, Engineering, Art, and Math) Fab Lab one-week program will focus on designs for environmental conservation and restoration. Students create hands-on projects in the Fab Lab and have special classes and activities. They will invent and design their own creations in our state-of-the-art Fab Lab, using cutting-edge technology such as 3D scanning, 3D printing, and coding, as well as other tools used in the "maker" world. Join the fun!